HomeTomorrow is #BeWoW Day. What advice would you give your younger self? Tomorrow is #BeWoW Day. What advice would you give your younger self? An excerpt from my letter. I would tell my younger self not to be so afraid of change. The values I have now are very different from the ones I had ten years ago, which is what’s supposed to happen. I really thought I had it all figured out at 15, and that I was set for life. Ha, ha. I’d also tell myself that no man is ever worth sacrificing dignity for. I would have told myself to be patient, like mom always said, and feeling insecure is no excuse to settle for someone who mistreats me. I’ve given young people advice in youth groups and schools that having boyfriends and girlfriends is a waste of time while in school. There is so much else going on that will matter for the rest of your life that the drama of a relationship that will likely only last two weeks to a few months is a waste of emotional energy. Enjoy being young without that pain the behind emotional stuff. 🙂 Save it for late college years. And I thought there was something wrong with me for never dating in high school! Actually, I didn’t start my first serious relationship until I was 23. Luckily for me, I married him. I wrote a blog post a while ago about what I would say to my 13 year old self. If you would like to read it, here it is! 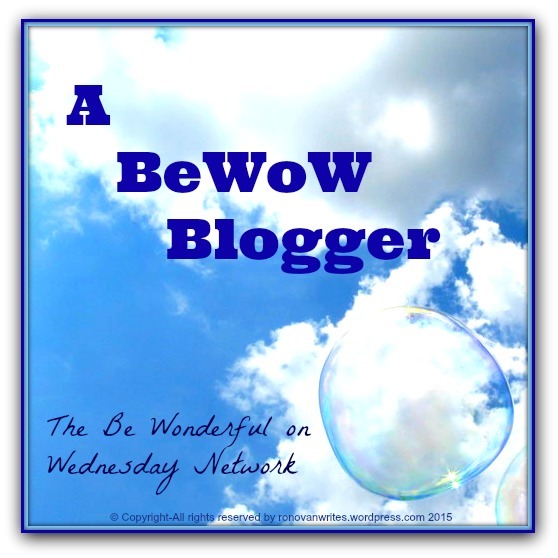 Maybe today I’ll have two #BeWoW posts; we’ll see! Thanks for sharing this idea.